Our Five Ring Circus: All Hail...King Julien!!! December was a busy month for us! We had something to do almost every day, but we still made time for Holiday shows on Netflix. We celebrate Christmas until January 6th, so we're still enjoying Christmas movies and episodes! 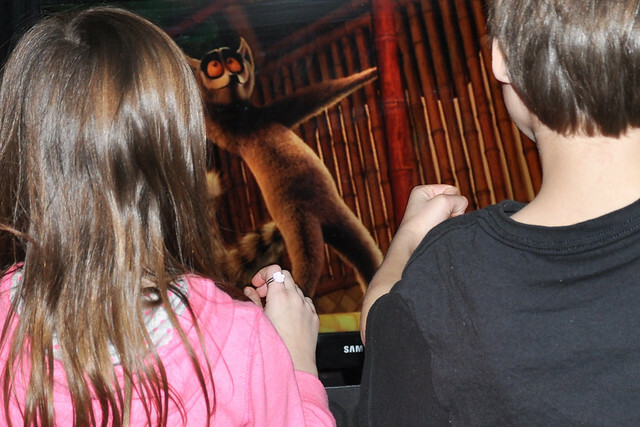 One of our favorite things to do as a family is gather for Family Movie Night once a week. We all look forward to our weekly date. It's a great way to take a break from the hustle and bustle of everyday life and spend time together. During the holiday season, we upped our Family Movie Nights to three times a week just to fit everything in! We are so excited that King Julien has his own show now!!! All Hail King Julien, which stars our favorite character, is an original new series that premiered on Netflix on December 19th! We finally had the chance to check it out after Christmas. Dylan, Lexie, and Lily loved it! It's not often that I find a show that entertains a 10 year old, 7 year old, and 3 year old, but this one did. They laughed and danced their way through the first episode! I joined in, too! Dylan and Lexie scored the show at a solid 10 on a 0-10 likability scale, claiming it was hilarious. Lily, who is our little clown, said she liked the show because she could dance to the music and because the little guy was funny! The first 5 episodes of All Hail King Julien can be found on Netflix right now. At just 23 minutes each, they are the perfect length to hold the attention of kids of all ages! We can't wait to watch more! In just a few days, we're going to be ringing in 2015 with our friends! 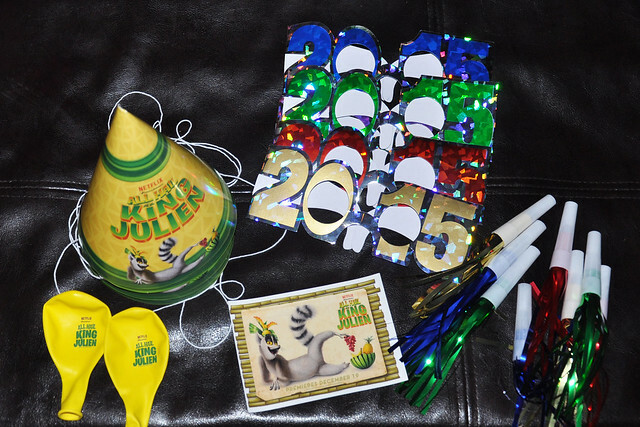 Netflix sent a King Julien Party Kit to help us celebrate! My kids are so excited to party with their friends. It's going to be a WILD party, because we'll be partying with the family of another StreamTeam member! Our kids are party animals, but many kids can't quite make it until midnight. No problem! 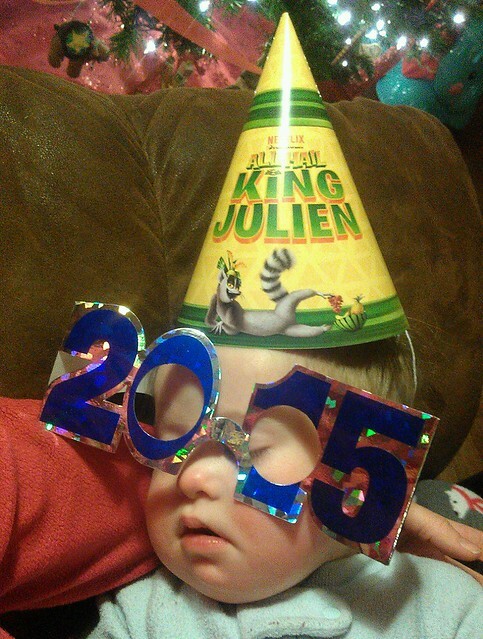 King Julien is hosting his own countdown special so your family can celebrate any time of day or night! How cool is that?!? The rest of us? Ready to party!!! Grant and I will be watching Love Actually one night this week. It's a great movie, but we haven't watched it in years! We love Family Movie Night, but we also love to have Netflix Date Nights after our kids go to bed! Currently, during our Netflix date nights, we are watching The Office the entire way through. The Christmas Party episode is hilarious! I'm so glad we had the chance to watch it before Christmas, but it's funny enough to watch year round! I hope you all had a wonderful Holiday Season! From my family to you and yours: Happy New Year!!! Check back in a few days to see how we rang in the New Year! *I'm a member of the Netflix StreamTeam. I was given a free year of Netflix Streaming in exchange for my review. Those glasses are a hoot! Wish we could do streaming at our house. They're all set to wear them tonight! Happy New Year! I hope you enjoy it! It's a cute show! Sounds like a great show! 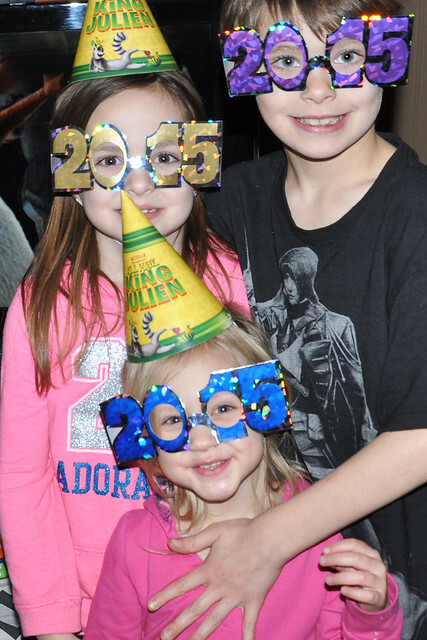 What a fun way to ring in the New Year with kiddos! Thanks! We had a great party! Haha! We watch many shows on repeat!